Damian is a senior IT professional with a proven ability to deliver on large complex business and technology transformation programs. 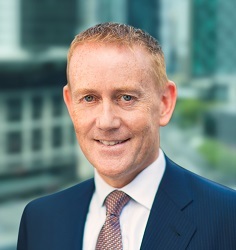 He has over 20 years' experience across the Asia Pacific with major technology, retail and financial services organisations, including David Jones, Coles Myer, National Australia Bank, Hutchison and Jardine Matheson. Damian has a strong track record delivering outcomes against the strategic agenda, and managing strategic partnerships. He has experience in finance, managing large budgets and working cross-culturally in international markets.